Hey everyone. 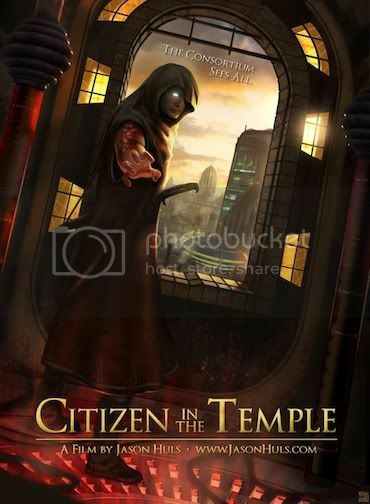 Just trying to get the word out about my sci-fi, MFA film, Citizen in the Temple. Here's a If you like what you see, please consider following on the facebook page here. The story is very much like 1984 on a wasteland planet. It features a man who is caught trying to rebel against his city and in the end he must choose between his rebellion and the woman he loves. Last edited by Jason Huls; 08-09-2012 at 01:19 PM.